Something about Montreal in early winter had me writing a lot of poems. It certainly doesn’t hurt that inspiration in a city like Montreal is never hidden. From MTL native Leonard Cohen’s lyrics projected on the city’s brick walls, street signs, and in concert halls to the indecisive St. Lawrence river at war with itself as it flows north, south, east, and west all at the same time; from the pink leaves, noses, and front doors, and the soft bonjours escaping pink lips to people wrapped in sweaters and scarves, then wrapped around each other—Montreal’s poetry is inescapable. My numb ears and fingers couldn’t keep me from the quiet sidewalks of a subdued Boulevard St. Laurent, caught between modern graffitied façades to my right and old signs written in fading Hebrew lettering to my left. I strolled by the storefronts of vintage clothing shops, old Jewish delis, hipster barber shops, and sparsely filled Portuguese groceries. The neighborhood’s many parks were swathed in blankets of rust-colored leaves, and the ruelles vertes, or green alleyways, looked browner and redder with each frigid exhale of the season. 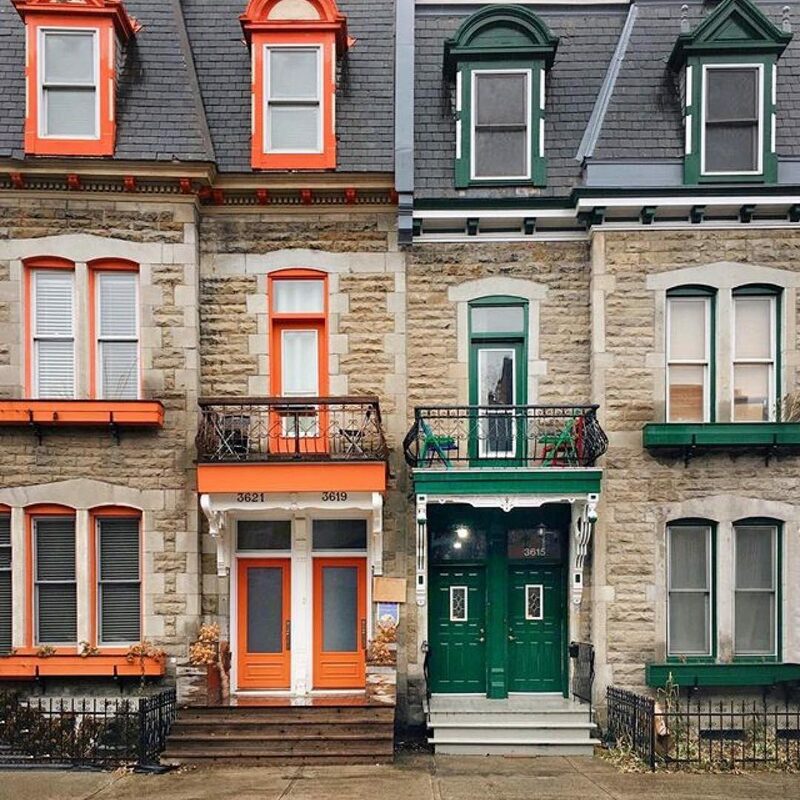 On every new block, I passed side streets that separated the homes of invisible people who I could only imagine were happy and plump from years of midnights spent nursing beers and poutine. Wandering through Chinatown, Little Portugal, Mile End, and Le Plateau, I was met by grandmothers and their bundled grandchildren, usually followed by processions of well-dressed young people—no doubt students at or recent graduates from one of the city’s several universities. They hurried past, but not with the urgency or heaviness of a New Yorker; instead, they appeared to be floating by. Or maybe I was just delirious, high off the bounty of local charcuterie, cheeses, and craft beer, and sustainably caught oysters, mussels, and salmon from poissonneries in Notre-Dame-de-Grâce. Living in New York has taught me to keep a straight face in public, but my cheeks—rosy and round with a plush perma-smile hidden beneath my scarf—betrayed my cheer. Shrouded strangers on the street smiled back. In the wrong city, too much time spent out in the cold can be ruinous. But standing in line for 20 minutes outside the Notre-Dame Basilica in Old Montreal, loitering by the “lady of the harbor” at the riverfront, and overlooking the city from up on Mount Royal energized me. 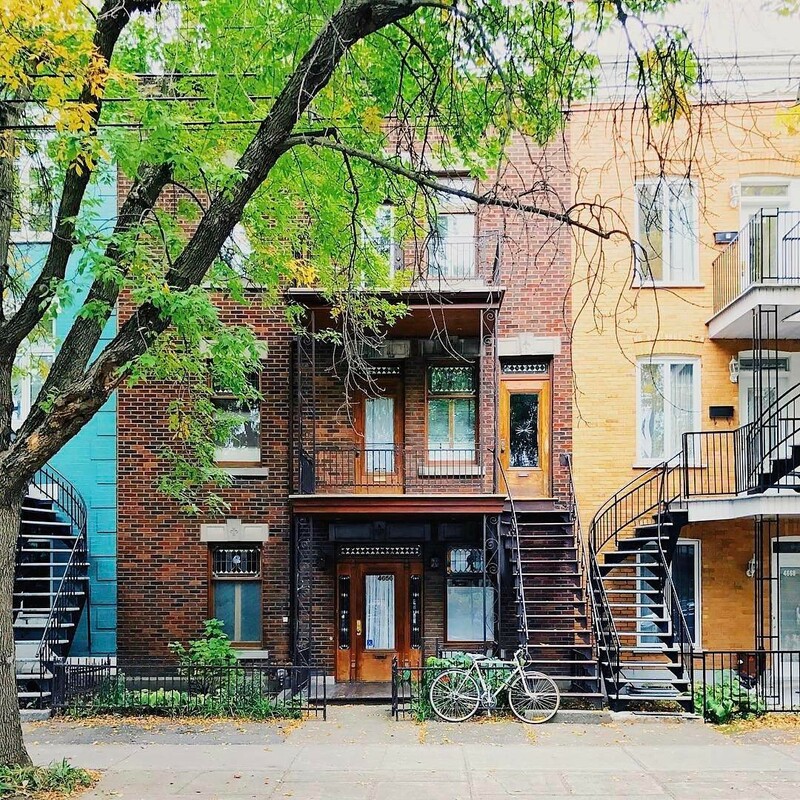 I visualized moving there: clacking down cobblestones, learning French and stumbling over mispronunciations, seeking refuge from the cold underground in one of the hundreds of dark bars and speakeasies, like Big in Japan on St. Laurent or the Coldroom downtown—maybe with someone I love, maybe on my own. Like poetry, music is everywhere in this city; talent seems to actually grow on trees and then blow into bars and music halls like fallen leaves, playing jazz and indie tunes, hip-hop and klezmer jams. If it weren’t already obvious, I am a syrupy romantic. I couldn’t help but fall in love with the understated Francophone icebox that is Montreal. At one of the many inviting boutiques that line the more residential end of Boulevard St. Laurent, I bought a knit hat and a pair of sumptuous pink gloves that fit snugly around my thin fingers. When I wear them now, they remind me of the warm feeling I got in my belly as I ambled through the city’s sweet neighborhoods. 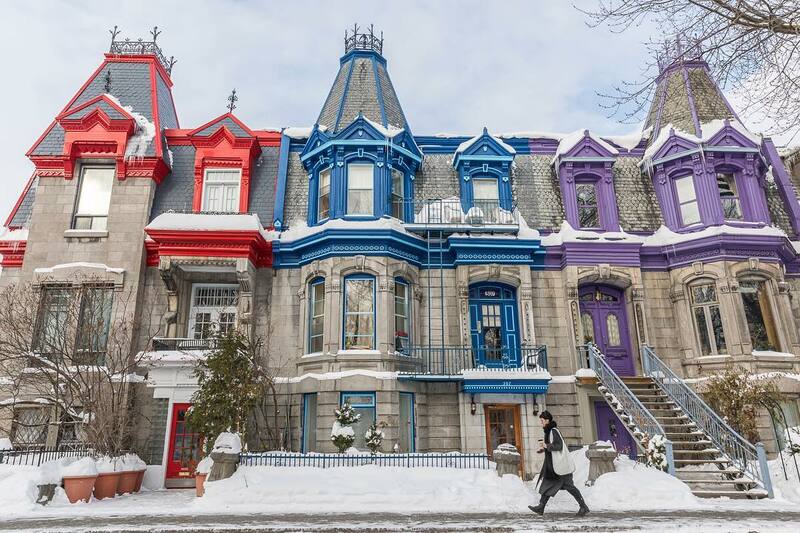 In early winter, Montreal had a poeticism that was sultry but soft, its sexiness and tenderness melting together in a fondue pot at the top of Mount Royal and pouring down the mountainside in a silent avalanche. 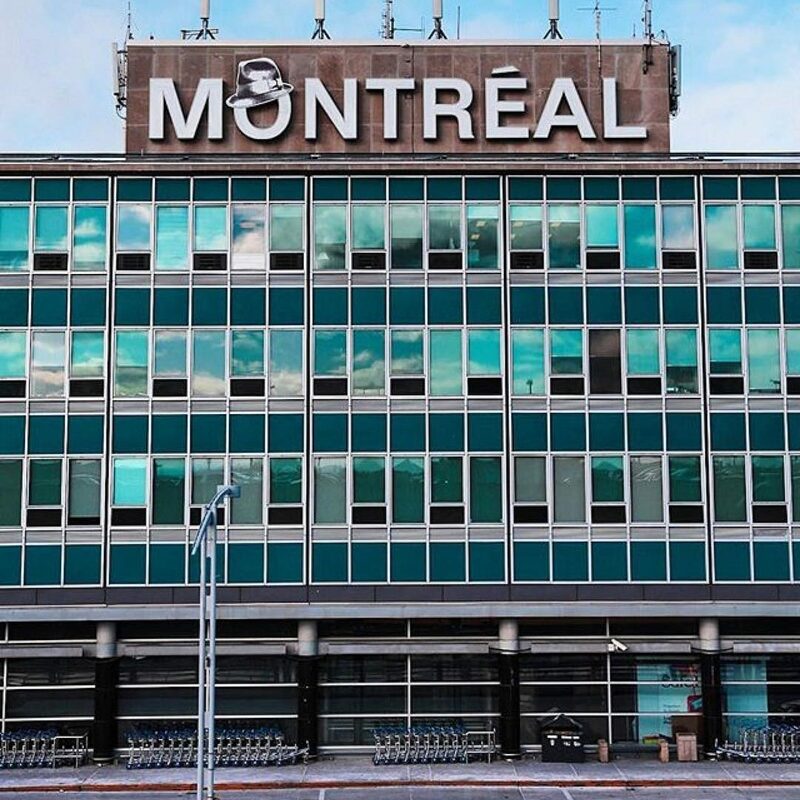 If poetry is “the evidence of life,” as Leonard Cohen claimed, then Montreal is truly vivant.